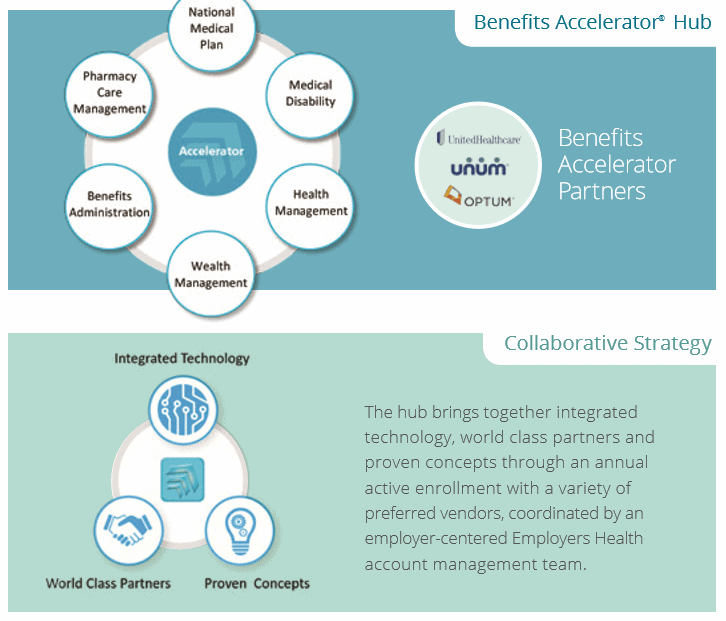 Benefits Accelerator® is a value-based strategy that harnesses a robust technology platform, preferred vendors with proven concepts and results that emphasize heightened health status and well-being. This collaborative approach can accelerate a plan sponsor’s objectives to control health care costs, improve health outcomes and streamline benefits administration. 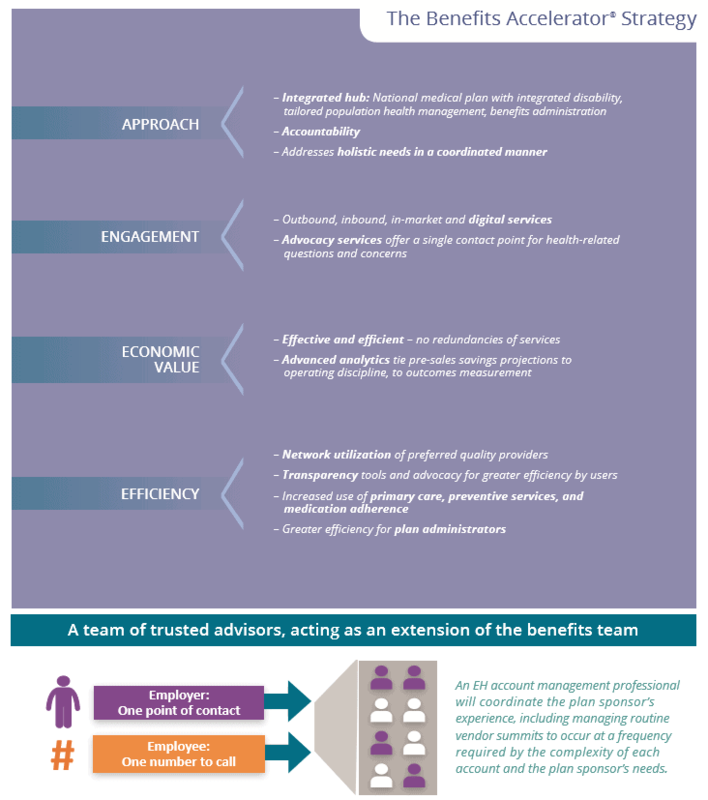 Benefits Accelerator acts as a central hub to bring the essential capabilities together and then coordinates the activities with an employer-centered account management team. The team members act as “quarterbacks” to coordinate the experience, resulting in single-source accountability for outcomes, efficiencies and value delivered to the employer.